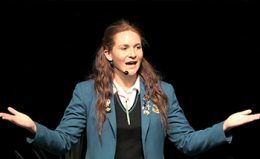 Our dream is that Ngāi Tahu Whānui enjoy life-long learning that equips them to create their own destiny. The goal is that educational opportunities relevant to our people are accessible and enriching. 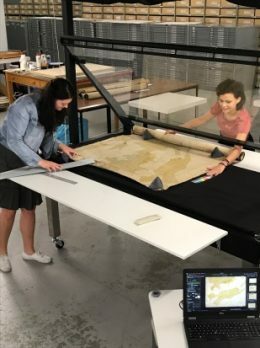 Ngāi Tahu has always valued education as a critical tool in our on-going tribal development; we need great minds – minds in tune with the iwi – to help chart our journey of tribal development. In the early colonial period, tribal members seized upon bilingual literacy and in the 1950s the predecessor to Te Rūnanga started educational scholarships. Now, we are growing educational participation and success at all levels, to assist Ngāi Tahu whānau to unlock their individual potential and to grow the leaders of tomorrow. It begins with our tamariki where we fund literacy and numeracy tuition. For high school students we fund grant scholarships and at a tertiary level, we have a range of scholarships for all fields of study as well as targeted scholarships in key areas where we need graduates. 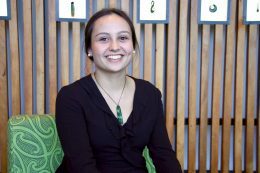 In 1998 Te Rūnanga also formed Te Tapuae o Rehua, a unique partnership between the iwi and the major tertiary institutes within our takiwā to lead the development of educational programmes that support Māori students and achievement. 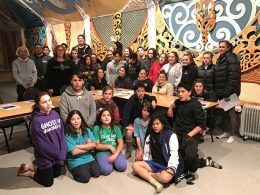 Working with our Papatipu Rūnanga, we implemented Te Kete o Aoraki a resource and support network to equip schools within our takiwā to teach Ngāi Tahu tribal histories and language. 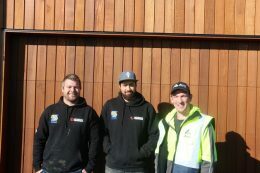 Following the Christchurch earthquake, we also established He Toki ki te Rika – a Māori pre-trade training scheme, designed to encourage careers in building and engineering and to upskill existing tradespeople to take on new roles in the rebuild of the city. 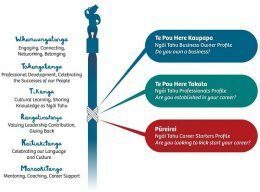 In 2014, He Toki expanded to include the new apprentice training trust, He Toki ki te Mahi, and the He Toki Leadership Programme. The leadership programme is designed to encourage career development for Māori currently employed in the construction industry, who have already completed some trades qualification. The initiative enables them to gain higher qualification in quantity surveying, construction management, site supervision and, in 2015, architectural technology.